Five days Nile cruise holiday with great opportunity to visit the Pyramids and Sphinx and discover ancient monuments in Alexandria including Catacombs of Kom al-Shoqafa from your Sharm el Sheikh resort. Valley of the Kings: visit 3 different tombs opened to public. Transfer to Aswan train station. 20:00 pm Pick up from Alexandria train station. Roman sights and Catacombs visit. Overnight in 4* Cairo hotel. 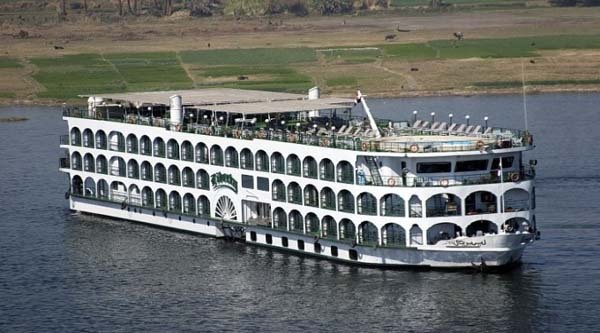 5 nights Nile cruise on FB (full board) basis on 5* Deluxe floating hotel. Breakfast, lunch, dinner and afternoon tea on board. All entrance fees to the sites as per the itinerary. All transfers during sightseeing tours. Flight tickets Sharm/Luxor & Cairo/Sharm. Night sleeping train tickets in dbl cabin. Transfer by a/c van upon arrival from Luxor airport to the floating hotel and back. English speaking Egyptologist tour guide during Nile Cruise, Cairo & Alexandria guided tours. Alcoholic, soft drinks and drinks with meals during the Nile cruise. Tipping for all the ship team (around 15$ per person will be asked at the end of the cruise). Optional activities and tours in Aswan, Luxor or Cairo. Full visa of Egypt is required for the tour. Arrival Sharm el Sheikh airport any day before Saturday. Our English speaking representative will meet you upon arrival outside the main exit gate (in the street) with the sign "sharm-club.com". Transfer by a private air condition van to your hotel. Overnight in the hotel. In the morning our representative will pick up you from your Sharm el Sheikh hotel and transfer to the airport to fly to Luxor. Flight to Luxor will take just 50 minutes. Our English speaking guide will meet you in the airport upon arrival with the sign "sharm-club.com". Start your day with the visit to West Bank - the Valley of the Kings , Colossi of Memnon and Deir el Bahari temple. Please note when visiting the Valley of the Kings, entry to 3 tombs is included, however if you wish to see either the tomb of King Tutankhamen or Tomb of Ramses VI, there will be an additional ticket cost. Lunch and afternoon tea on board. Dinner on board. Breakfast on board. After breakfast visit East bank and its famous temples Luxor temple & Karnak temple. Do not miss an Open Air Museum at Karnak temple(extra ticket requires)to discover unique chapels found in the temple's pylons. Back to the boat and continue sailing to Edfu. Passing Esna lock, on the way to Edfu and enjoy the views. Overnight on board. Evening entertainments are available. After breakfast on board visit Edfu temple. Temple of Horus one of the most complete architectures in Egypt dedicated to God Horus son of Osiris. After lunch, Sail to Kom Ombo & visit its temple. This Temple is shared by two Gods Sobek and Horus. Continue sailing to Aswan, overnight on board. After breakfast on-board visit the High Dam passing by old Dam of Aswan and then Kalabsha island with its unique Nubian temples (optional activity with extra money). The Temple dedicated to Isis on Philae island will be visited later on during the day. After lunch you can visit optionally Elephantine Island, the Botanical Gardens or the Nubia museum. Overnight on board. In the early morning you can optionally visit Abu Simbel temples either by flight or by land. Breakfast on board. Check out of cruise boat at 12 pm. Free time, optional visits can be arranged. In the evening transfer to Aswan train station to catch your night sleeping train to Alexandria. In the morning upon arrival our English speaking guide will meet you at Alexandria train station and you will start your tour. Catacombs of Kom- Shukafa these tombs were discovered by chance in Karmoz aria in 1900 after 12 years of searching. The tomb dated back to the 1 st or 2nd century and consists of 4 underground floors. The 1 st and the 3 rd floors are completely under the water. The most significant feature of this tomb is the existence of paintings on its walls that represent the overlap of three different kinds of art Egyptian, Greek and Roman. At the end of the day we will drive back to Cairo by a/c van to overnight there in 4* cozy hotel on BB basis. Optional activities such as Sound & Light show at Pyramids or Nile cruise with Romantic dinner & Oriental show can be arranged. In the morning pick up from your hotel and move to downtown where The National Egyptian Museum is situated. The building of the museum is a historical monument itself already, built more than 100 years ago by a French architect it houses the world's largest collection of Pharaonic antiquities, and many treasures of King Tutankhamen. 120 000 pieces are exhibited there and we will visit all those collections, including Old kingdom, Middle kingdom, New kingdom and king Tut Anch Amun collection. We will spend around 2,5 hours in the museum. Lunch will be offered in a local restaurant, you can choose between options available. After lunch we will continue our tour and move to one of the seven wonders of the world: the The great pyramid of Cheops!, which is situated on Giza Plateau! We will visit other pyramids of the area as well: the pyramid of Chephren and the pyramid of Mycerinus. We will end our tour in Pyramids area after visiting Sphinx and its valley temple. In the evening transfer to Cairo international airport to catch your flight back to Sharm el Sheikh. Our rep will meet you in the airport upon arrival and transfer to your hotel. We booked Nile cruise with Cairo and Alexandria by air. I like most people was a bit worried about booking online, so I phoned Sharm Club on arrival and they came to the hotel to sort everything out with us. Cairo by air was by far the best part of our holiday and Sharif is an excellent guide. I recommend paying the extra at the museum to see the mummies, even our 7 year old daughter thought these were absolutely amazing. I also recommend paying the extra to go inside the main pyramid its tiring but worth it. Unfortunately my Wife fell ill at the pyramids and did not want to stay for the sound and light show. Sharif tried his hardest at the airport to get us on an earlier flight without success but you could tell he was genuinely trying his best to help. Thank you once again Sharif. Nile cruises excursions were also very well organised and worth every penny especially the Luxor temple and Karnak, we now have fabulous pictures of all these sightseeing. 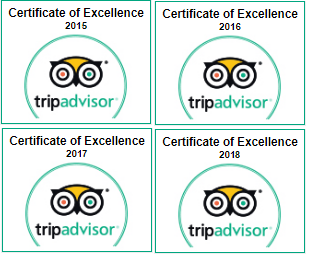 When we had our last trip the manager of Sharm Club phoned the cab driver so he could speak to me and asked if we enjoyed all the excursions and wished us a pleasant stay for the rest of our holiday I thought this was a very nice touch.